Macau trip was amazing. Visiting Macau, one of the most favorite Tourists choices to go during the holiday, especially for those Hong Kong and Mainland China residents who can go here by the weekend, due to their relatively close distance. But seriously guys, you gotta check this place out. Macau had been Portuguese overseas territory until 1999, which explains why you can see the mix between Portuguese and Chinese influence, especially the buildings, they’re just beautiful. It has also been known for giant casinos and extravagant malls all over Macau, which brings them the title of “Las Vegas of Asia.” Yes, Vegas, in Asia. This city is well-known gambling, especially those from China Mainland, they’re really into gambling. 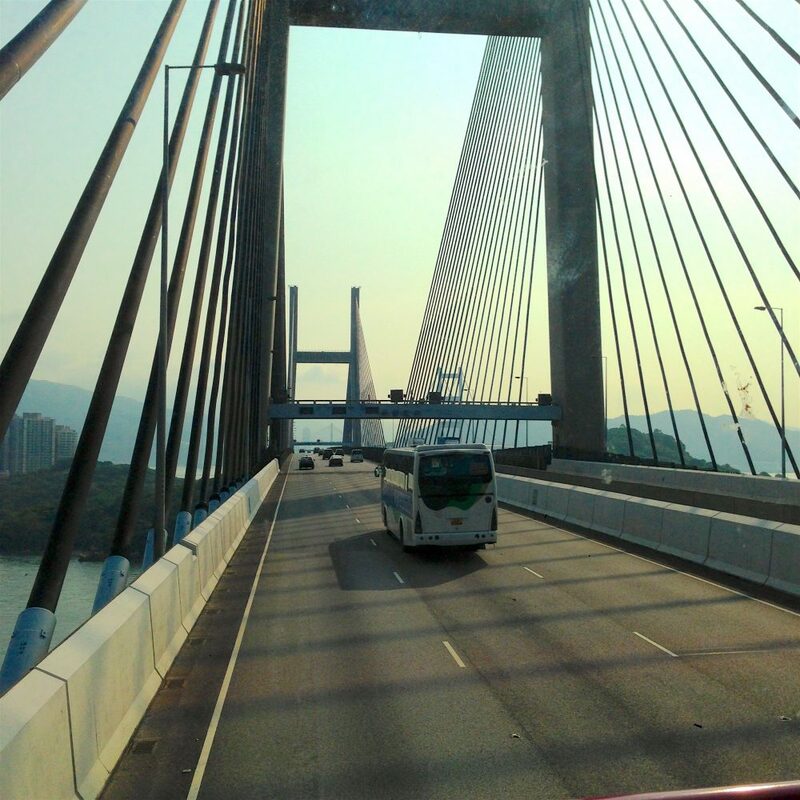 I’m gonna share with you about my personal experience when traveling in Macau. You can go to Macau through some options, either by flight or via Hongkong with a ferry. 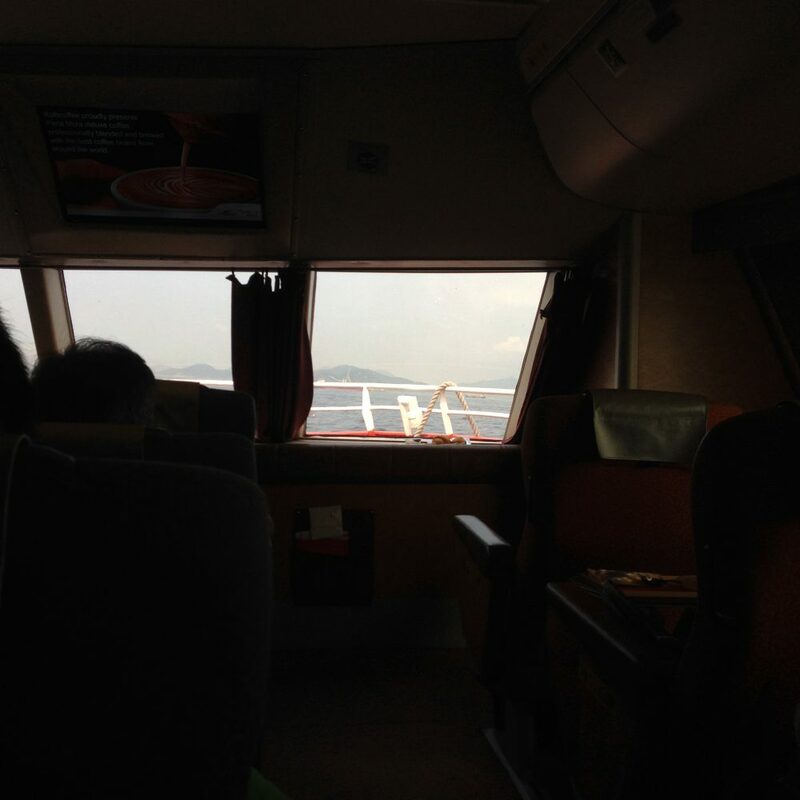 Check my other post about how to get to Macau via ferry. You’ll need your passport to travel between these two regions. However, foreign tourists to Hong Kong generally have no problem entering Macau with a free short term stamp on their passport. Even though it’s just an hour away, but somehow Macau is different from Hongkong. However, foreign tourists to Hong Kong generally have no problem entering Macau with a free short term stamp on their passport. Even though it’s just an hour away, but somehow Macau is different from Hongkong. When we embarked from the ferry after about one hour on the sea. Careful if you’re easy to get seasick, better bring your medicine. We went through pretty uncomfortable tides. Checked in through the immigration, and immediately found it really crowded just outside the check-in area. Like seriously crowded. Maybe it’s because of the weekend during the holiday season, bad timing. So we struggled to make our way out to find a bus. 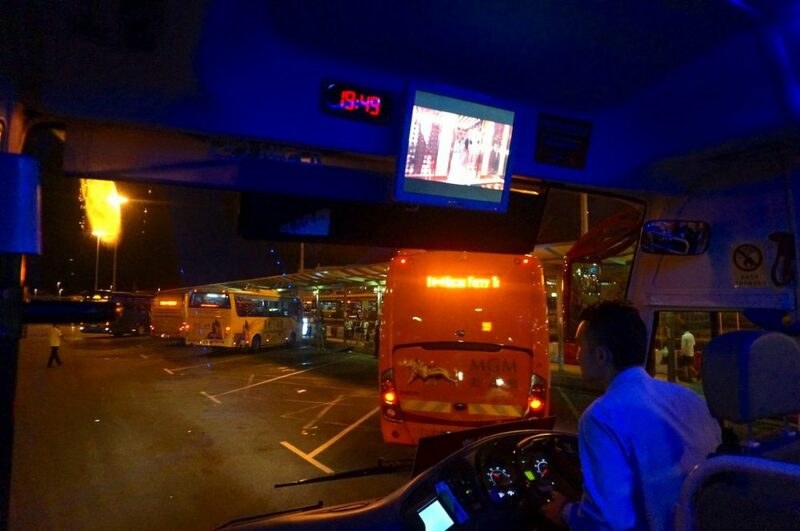 Here’s one of the great things going to Macau, you can hop on hop off the buses there for free, they provide you with free bus to go from casino to casino, a great facility! (Tips : The Bus Station at the ferry terminal is the center point where you can see all the buses to all different casinos, if you can’t find the bus to go to the place you wanna go from one casino, you can just go to the ferry terminal and exchange bus here,all you have to do is just look at which bus going to which casino, easy, they paint the bus with the Casino’s Brand). After a while, we’re trying to find an elevator to get to the bus platform (oh, this time, I’m traveling with friends, 7 adults, 2 babies + strollers, so yeah pretty much a hassle). As soon as we found the Bus platform, there’re some pretty ladies holding the signs representing the name of their casinos. So, we immediately found our bus, the one with “The Venetian” paint. 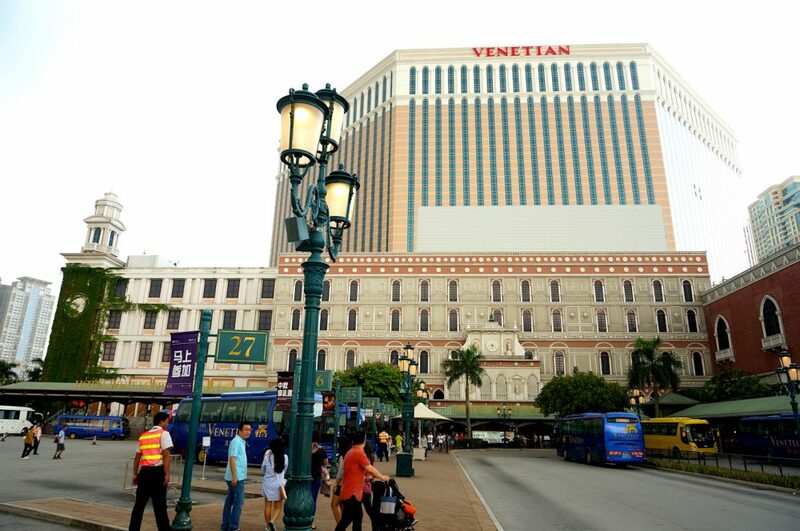 Yes, we’re staying at The Venetian, the most well-known place to stay in Macau. “Even Justin Bieber was here”, said one of the tourists in our line. It took us about 30 minutes to get on the bus with a pretty long queue. The bus came in about every 10-15 minutes. So quickly we’re loading our baggage and ride on the bus to the Venetian Hotel. Upon arrival, I saw a packed queue for the entrance, it’s like human everywhere, and very little space to move. After fighting our way out from the bus, the entrance finally we made it inside the mall, and immediately go to find something to eat. This building inside was very nicely decorated, with all the elements of the interior, I personally like it, and they do look expensive. Not to mention the hype, though. Everybody looks excited here, families, couples, even gamblers. Read more story about The Venetian which I share some thoughts about. *you can use this search box below to find the best price for hotels in Macau.